The Light and Matter series of introductory physics textbooks is designed for the type of one-year survey course taken by biology majors. Topics include: Electricity and the Atom, The Nucleus, Circuits, Fields of Force, Electromagnetism, Capacitance and Inductance. 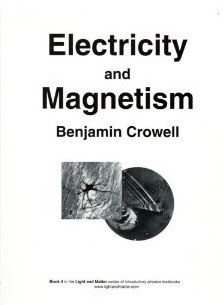 This is a text on electricity and magnetism for an introductory college physics class. The treatment is algebra-based, with applications of calculus discussed in optional sections. For more information about this book, see its web page. This book is part of the Light and Matter series of introductory physics textbooks.